Looking for simple sides that go with those real easy recipes you’re cooking? I have a handful of no cook sides for dinner that I always keep on hand. One of those is fresh seasonal fruit. What I love is that none of this has to be cooked. They partner perfectly with so many dinners and there is no heating up the kitchen. 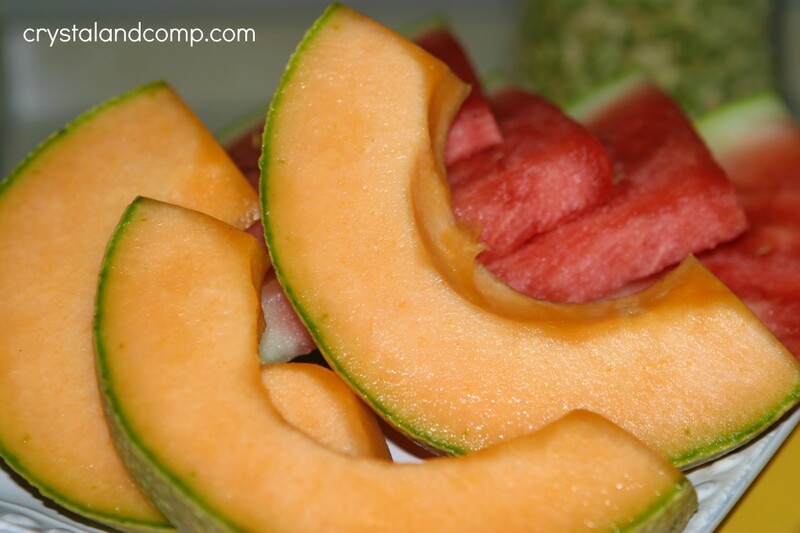 Usually I just choose one per night as the side, but sometimes I will offer two when it is something that is sliced up like cantaloupe or watermelon. In the winter time I add and swap out things like seasonal oranges, clementines, pears, kiwis, etc. 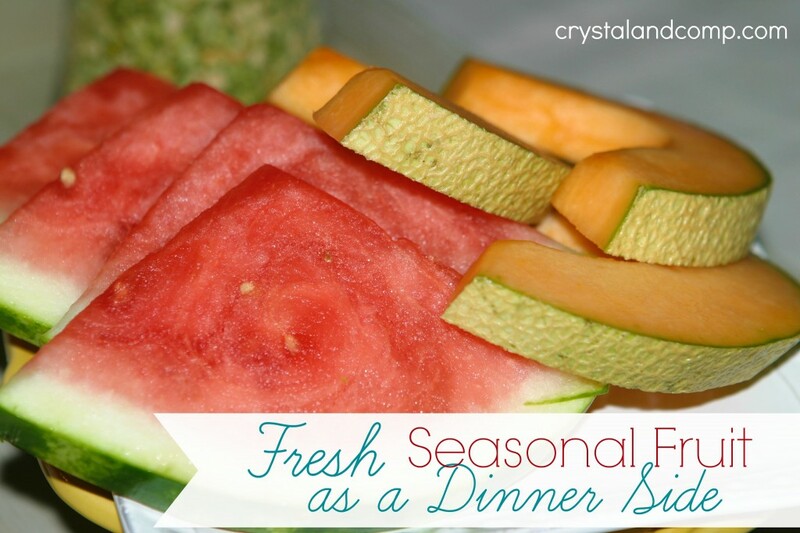 Try utilizing fresh seasonal fruits this next week when you meal plan. I think you will find it is an easy routine to get into. Here are the five recipes that are super popular on my site right now and being downloaded hundreds of times per day. All of these are perfect for back to school dinner ideas! My free meal planning printable for the month of August is being downloaded like hotcakes too! Make sure you print it out and make meal planning this week a cinch!